Can be used for mechanics, HVAC, electrical, plumbing, equipment operation, hand and power tools, and more! From light tasks to heavy-duty projects, Gorilla Grip patented gloves are your go-to. These gloves are specialized for maximum durability, dexterity and guarantees a never-slip grip. Gorilla Grip gloves are constructed of nylon and dipped with a specialized coating to keep your hands protected no matter the application wet, dry or oily, we have you covered. 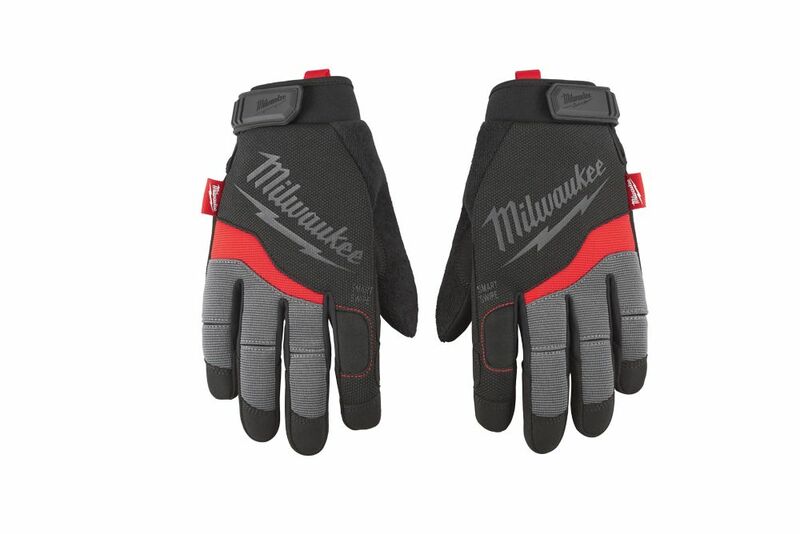 2X-Large Performance Work Gloves Milwaukee Performance Work Gloves are designed to provide Ultimate Durability and All Day Comfort. Featuring Smartswipe fingertips, knuckles and palms designed to allow the use of touch screens, and high dexterity fingertips to provide precision when handling small objects. A reinforced thumb seam provides enhanced durability and the hook and loop closure ensures a secure fit. In addition, a breathable lining and built-in terry cloth sweat wipe ensure the gloves remain comfortable enough to wear all day. 2X-Large Performance Work Gloves is rated 3.5 out of 5 by 2.